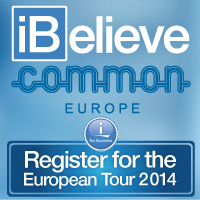 We recieved an overwhelming response for the iBelieve & COMMON European Tour 2014. Thank you to the speakers and our sponsors. This year's tour revisited Austria, Poland, BeNeLux and the UK with Norway and Switzerland added to the schedule. All five sessions were brand new, and covered topics including the Cloud, IBM i future directions and successful project implementation. Based on feedback from previous tours, we were delighted to welcome Maxava's Matthew Ashton into the fold to deliver an infrastructure-focused session, whilst looksoftware's Paul Hodgkinson returned with an insight into the principles that separate successful projects from failed ones. A big thank you to our long-time supporter Dr Frank Soltis, Chief IBM i Architect Steve Will, IBM Product Offering Manager Alison Butterill, IBM Champion Trevor Perry, Paul Tuohy and looksoftware's CEO Brendan Kay, for your presentations and continued support. Thank you to our sponsors and all involved in supporting and sharing the event to the IBM i Community. Please continue to stay in touch and up to date with future iBelieve information via iBelieve Community Facebook. Be sure to share information and community events in this forum. 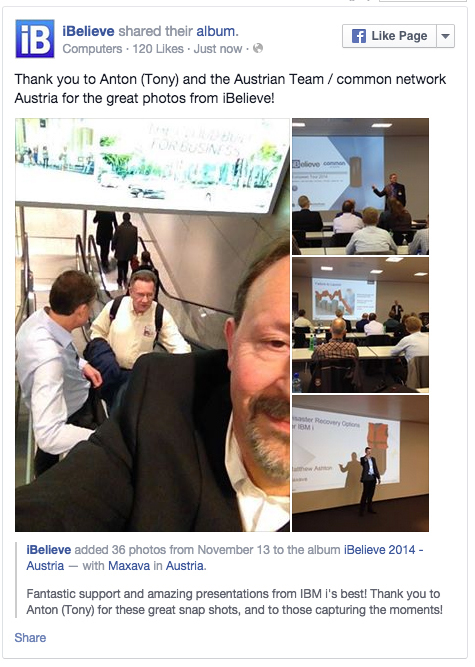 Like the iBelieve Facebook Page today! Hear about the event and highlights from past events from presenters and have your say in the comments.